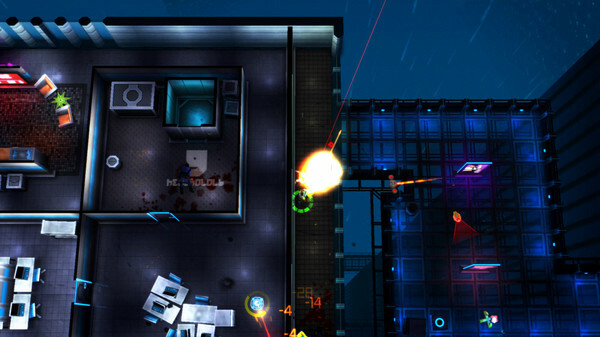 Neon Chrome is a ruthless twin-stick top-down shooter with procedurally generated levels and destructible environment. 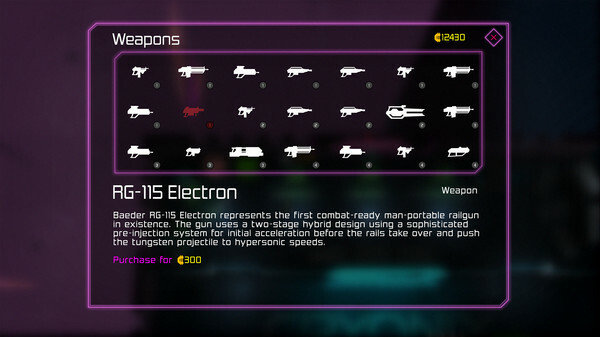 Neon Chrome was created by 10tons - the company behind the cult hit game Crimsonland. Use your looted credits to permanently improve your stats like health, luck and damage. Your character also improves with guns and cybernetics during a run. Visit your nearest upgrade station and select from a choice of over four dozen enhancements. The enhancements range from health and protection improvements to defense and assault systems - and far beyond. After each death the game will generate a completely new path always ending in a final showdown. The Overseer controlling everything trusts his obedient minions to end your journey before you reach him. Your path will be a mix of randomly generated futuristic environments and hand crafted challenges. 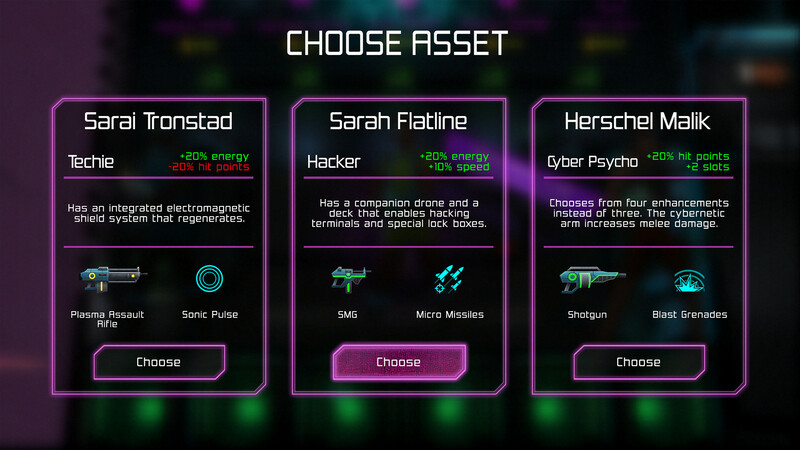 Before each run you choose one of three randomized "assets". The asset is a unique combination of role, weapon, and ability. Each one a bit different - everyone as good as dead. They will have all your permanent stat improvements in addition to their original qualities. The sneaky assassin with mines or the robust corp soldier with incendiary grenades? The choice is up to you. 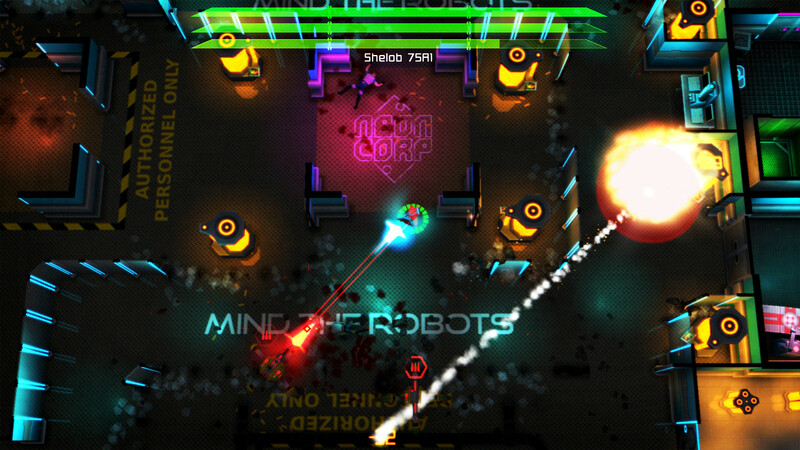 Almost everything in Neon Chrome can be destroyed with weapons or cybernetic abilities. You’ll shoot through walls, make rooms explode, and obliterate whole floors while blasting your way through the building. 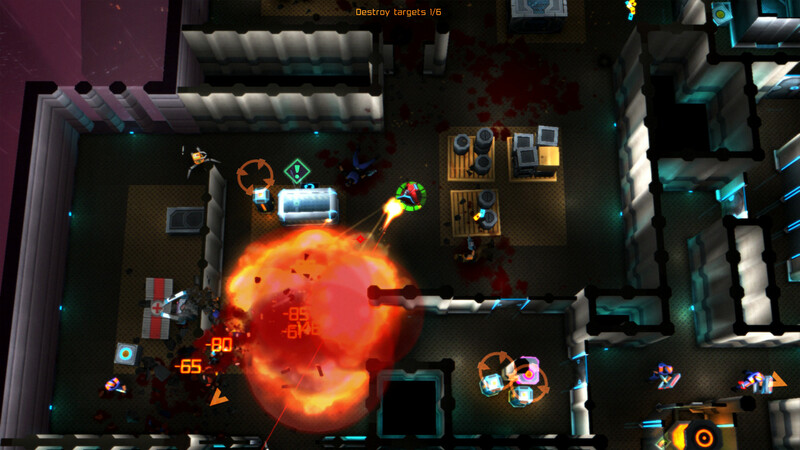 Overcome the latest killing solutions ranging from armed security to lethal assault drones and cyborgs. The building hosts a small army and even devastating military robots. 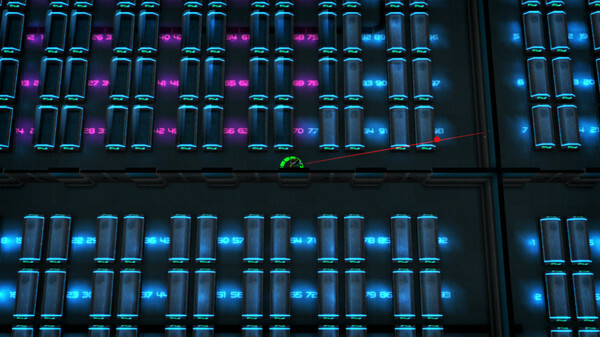 To make your way to the top you also need to overcome handcrafted combat and puzzle challenges. 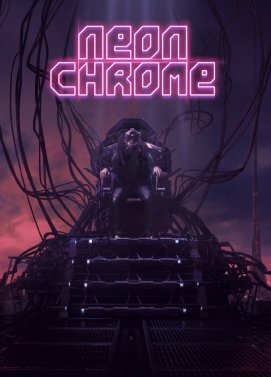 If your friends would like to help you bringing down the Overseer Neon Chrome supports 2-4 players in shared screen local co-op! 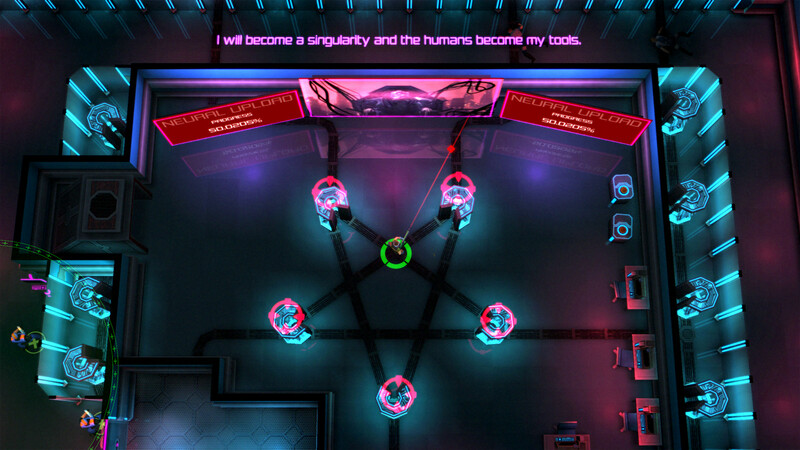 Armed with your skills, weapons, and cybernetic abilities you’ll have a fighting chance of stopping the Overseer. 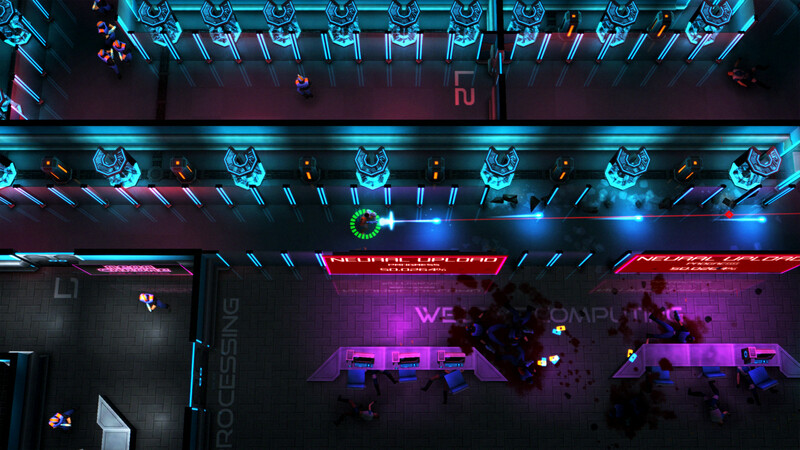 Go on, venture into the Neon Chrome and remember: Death is always a new procedurally generated beginning.